A new way of making scaffolding for biological cultures could make it possible to grow cells that are highly uniform in shape and size, and potentially with certain functions. The new approach uses an extremely fine-scale form of 3-D printing, using an electric field to draw fibers one-tenth the width of a human hair. 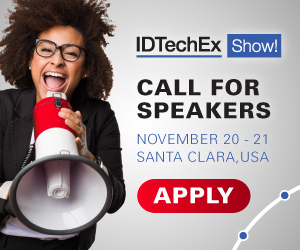 For more information see the IDTechEx report on 3D Printing in the Medical and Dental Industry 2019-2029. For a given mesh-like structure, he says,"we show that cells acquire shapes that are directly coupled with the substrate's architecture and with the melt electrowritten substrates," promoting a high degree of uniformity compared to nonwoven, randomly structured substrates. Such uniform cell populations could potentially be useful in biomedical research, he says: "It is widely known that cell shape governs cell function and this work suggests a shape-driven pathway for engineering and quantifying cell responses with great precision," and with great reproducibility. The need for tighter control over cell function is a major roadblock for getting tissue engineering products to the clinic. Any steps to tighten specifications on the scaffold, and thereby also tighten the variance in cell phenotype, are much needed by this industry, Tourlomousis says. The printing system might have other applications as well, Tourlomousis says. For example, it might be possible to print "metamaterials" — synthetic materials with layered or patterned structures that can produce exotic optical or electronic properties. The team included Thrasyvoulos Karydis and Andreas Mershin at MIT, and Chao Jia, Hongjun Wang, Dilhan Kalyon, and Robert Chang at the Stevens Institute of Technology in Hoboken, New Jersey. The work was funded by the National Science Foundation.